We love a scandal here in the UK. If there’s a tiny thread to be pulled to unravel a cacophony of scandalous headlines, you can bet your life that the tabloid journalisms will pull it. And this was most certainly the case in the recent ‘Lush SpyCops’ debacle. For those of you that don’t know, Lush, the ethically sound, sustainable pioneer, had created a campaign aimed at highlighting the snail’s pace at which the ongoing investigation into the wrongdoing of undercover police officers who infiltrated political groups was going. So far so good? What didn’t go down well, however, was how the natural beauty company executed this campaign. 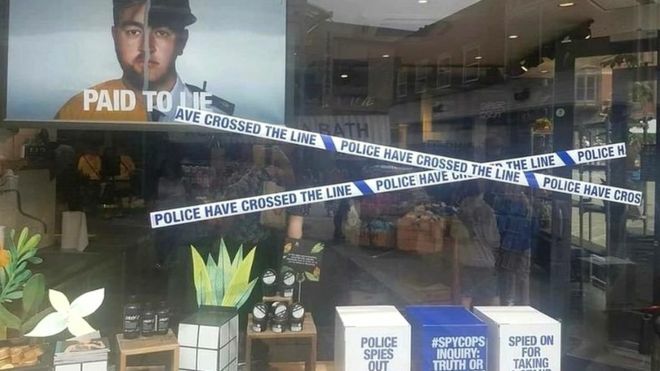 Attempting to speak up for the victims of the corrupt cops, Lush created window display campaign posters showing a police officer emblazoned with the slogan ‘paid to lie’, with further statements including ‘#spycops inquiry: Truth or cover up.’ OK, so I’ll concede, had it been an exam paper, it would be marked ‘could do better’ – the point it was trying to make perhaps lost in the fact it could be portrayed as the company smearing the entire police force. However, since the country’s social media feeds blew up about the poorly-executed posters, the company has stressed, and I think any logically thinking person would automatically assume, this was not the case. Yes, it could have been made clearer, but did it warrant the resulting backlash? In my humble opinion – absolutely not. Yes, perhaps the Lush marketing team could have designed a more intelligent campaign to get its well-meaning and credible point across, but is a misguided window display really enough to get this ethical, morally sound, sustainable company blacklisted for life? Twitter users were unabashed in their tirade, with many pledging never to buy from the company again, and even the Home Secretary Sajid Javid got involved, bad mouthing Lush all over social media. However, correct me if I’m wrong, but isn’t this bully boy backlash exactly what Lush is being accused of doing in the first place –slandering an overall, well-meaning body for one mistake? Durham Police Chief Mike Barton has this week written a rather lengthy blog post on why he will no longer be shopping at Lush due to this campaign (although, I highly doubt he has an account there). What I would challenge him to do is to take his time to look deeper into the company and the positive social and environmental impact this one British company has. With so many cosmetics companies selling out to bring in the buck, Lush stands firm in its commitment to raising awareness for charitable causes, tackling animal cruelty, and reducing the footprint we leave on the planet. While yes, the window display could have been created with a bit more tact, surely it’s not enough to boycott a company that is one of the main industry pioneers guiding the cosmetics world to a greener, more ethical future?